Style your bride with this gorgeous hat. With it's delicate tule and bride to be message your special lady will look absolutely divine. This easy to wear mini top hat is classy and even includes a hair clip so that the bride to be can stay looking perfect all night long! 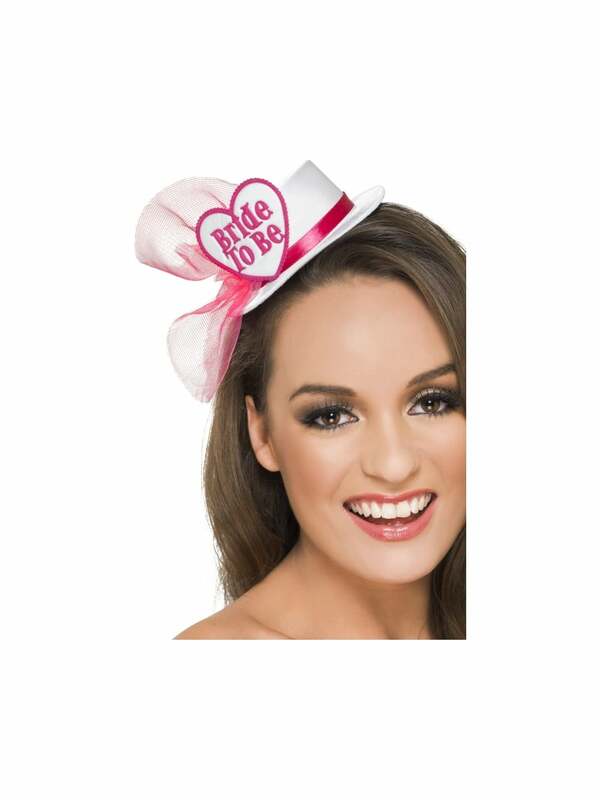 Showing our 2 White Fascinator Bride To Be Top Hat reviews with an average rating of Excellent. Would you like to write a review? Review - Good quality, excellent customer service, would definitely buy from again. Good quality, excellent customer service, would definitely buy from again. Review - Loved this! Great as an alternative to the traditional veil which I think can sometimes be tacky. This was classy and elegant. Loved this! Great as an alternative to the traditional veil which I think can sometimes be tacky. This was classy and elegant.